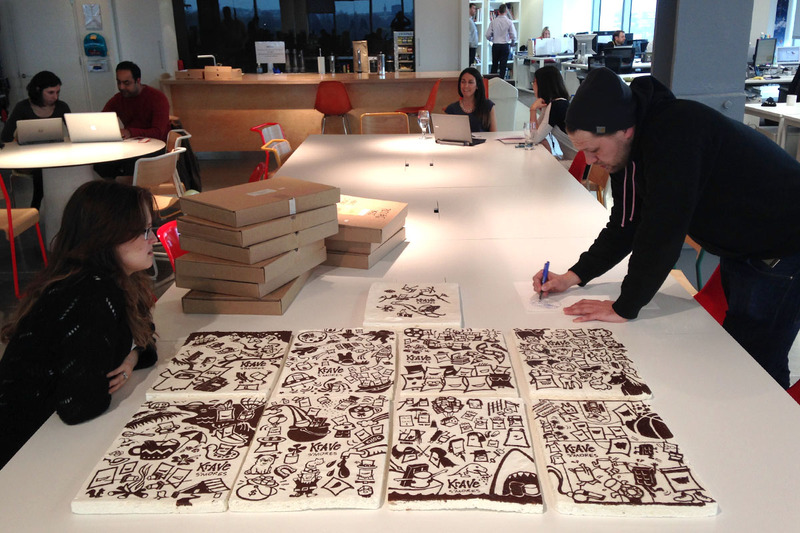 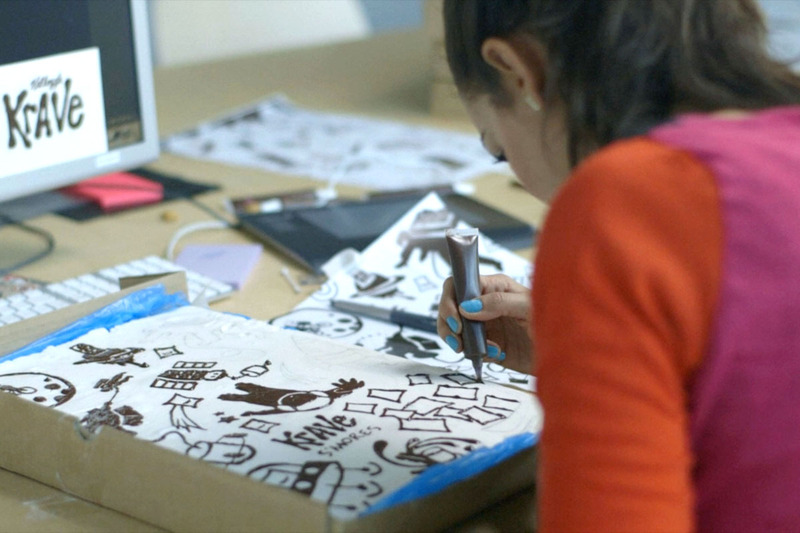 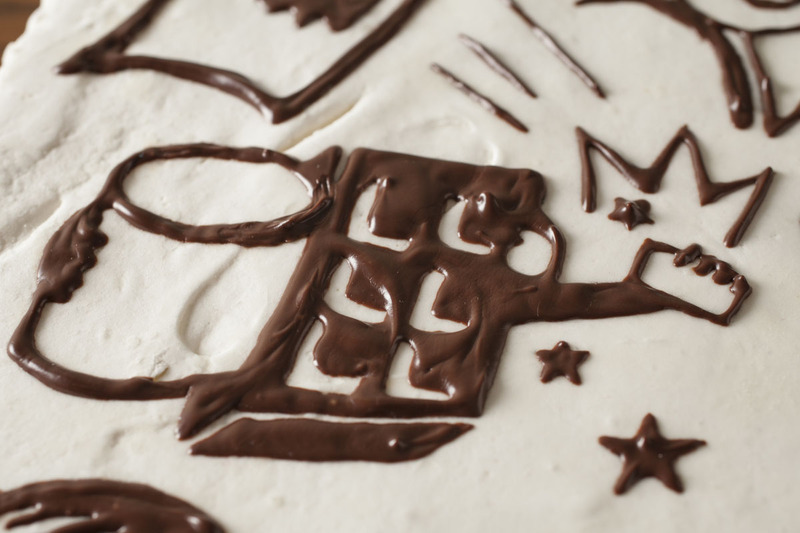 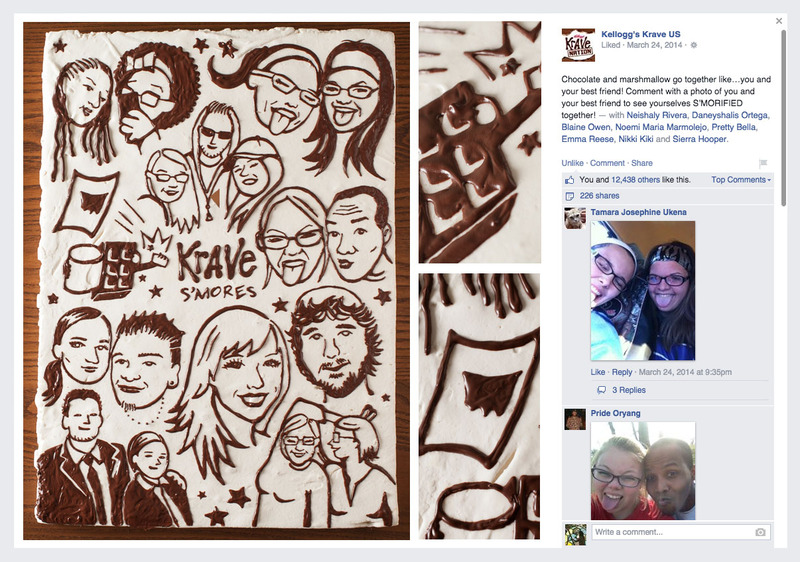 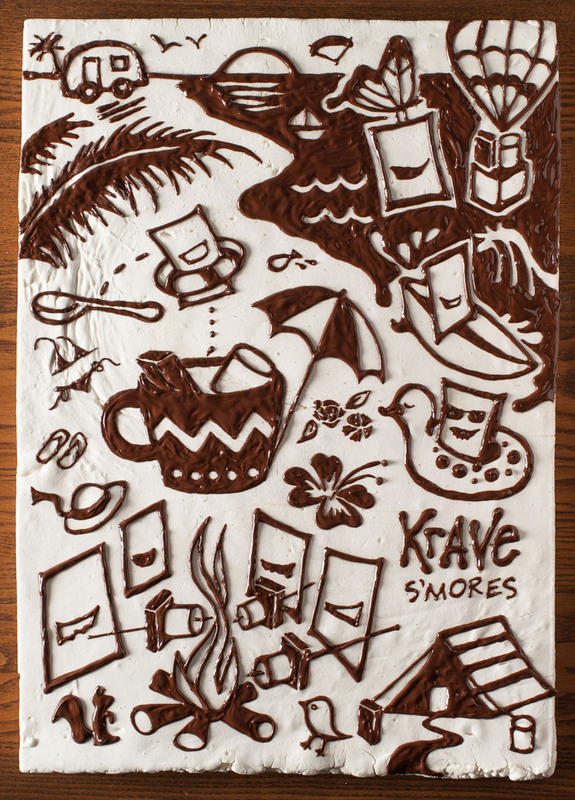 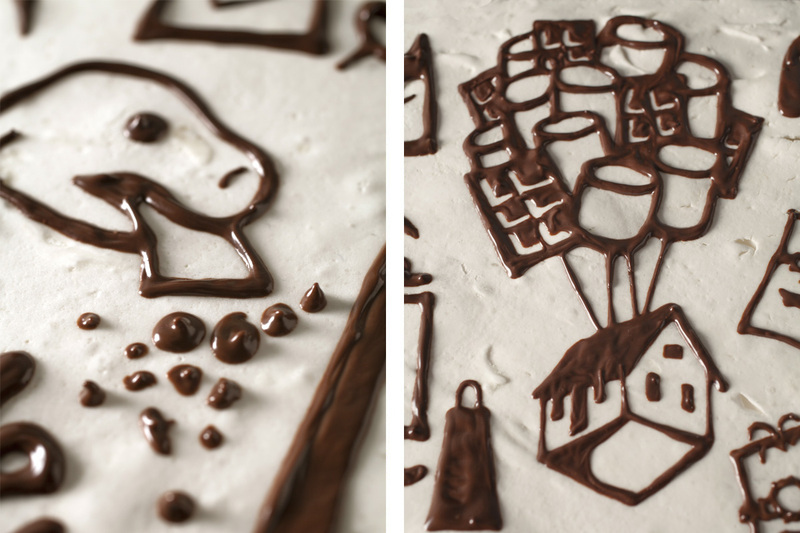 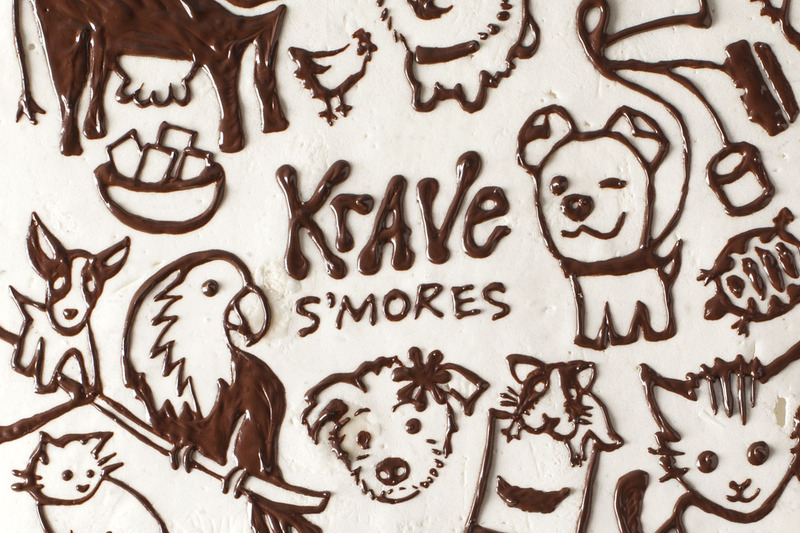 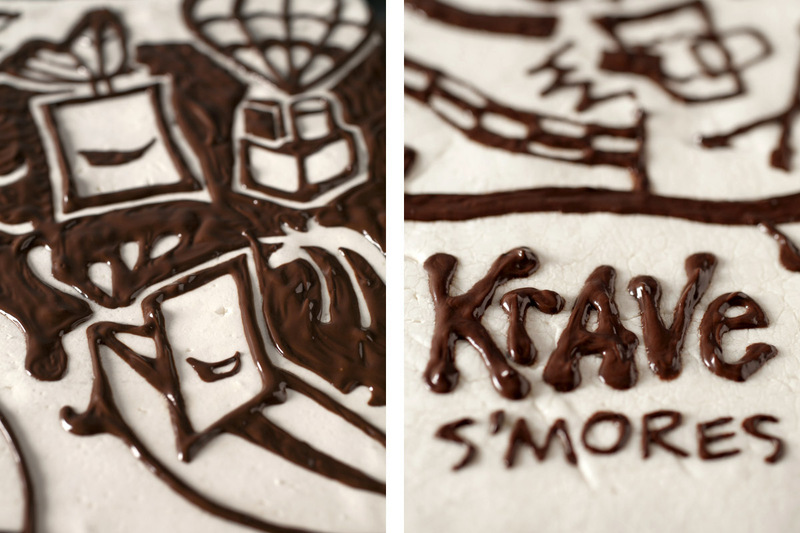 These fun and tasty illustrations (actually made with chocolate on marshmallow slabs) were part of the digital Facebook campaign for the new Kellogg's cereal Krave S'mores in the USA created by Isobar in London. 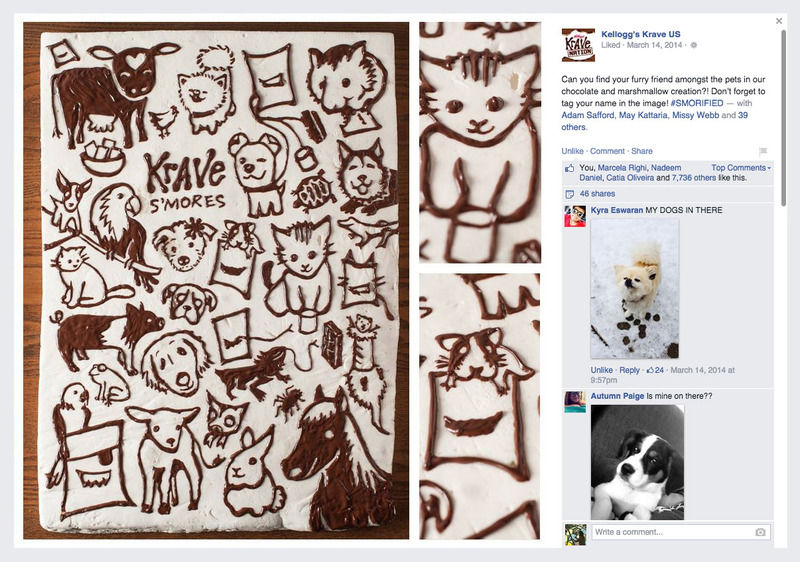 During two months fans would engage with the posts and based on their feedback I would produce a different art every other day, covering themes from the oscars and sports to people's pets and their best friends! 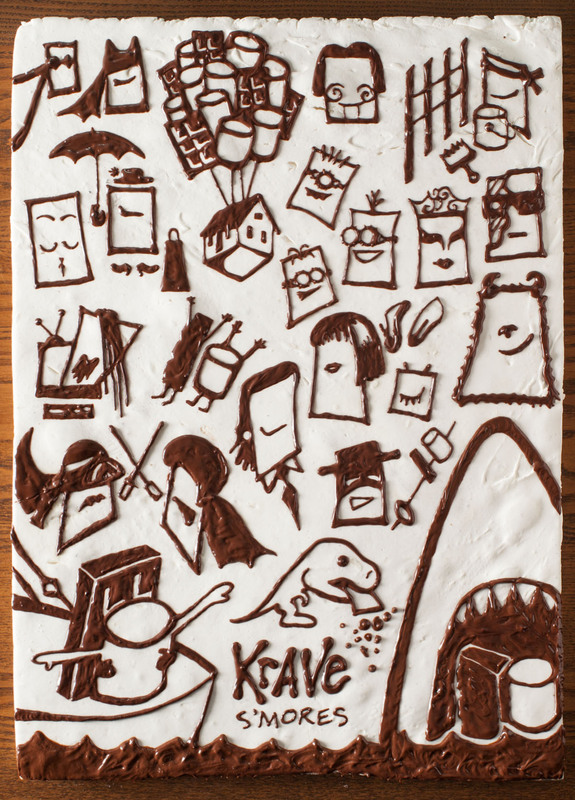 Marcela Righi, Pierre Duquesnoy, Chris Wall, Nadeem Daniel, Rumit Shah, Paul Ford, Fabiana Xavier, Lucy Soares-Smith, Emma Robsinson, Jo Rae.